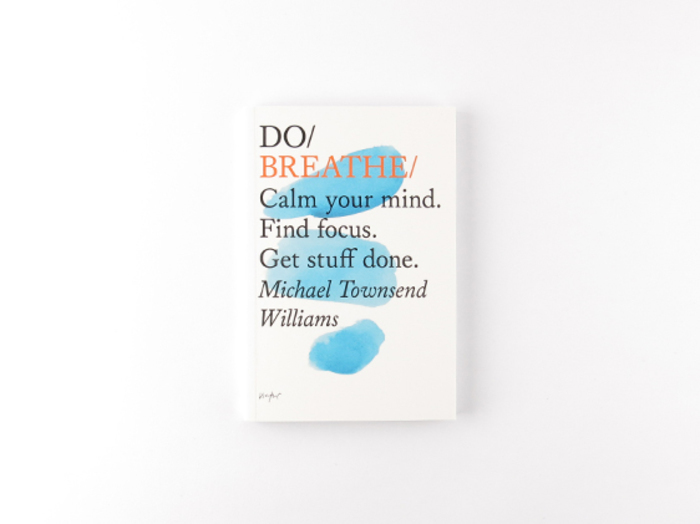 "Do Breathe by Michael Townsend Williams is part of a range of Smart Working books we offer at Misc. We totally agree with The Do Book Company mission: getting people to Do more. A simple mind shift, a shot of inspiration to help you get started or a new skill or craft, these kinds of doing are at the core of their inspirational pocket guidebooks. From a life of ‘doing’ in the world of advertising to a life of ‘being’ as a yoga and mindfulness teacher, Michael Townsend Williams now works on the integration of both. His business, Stillworks, coaches individuals, teams and organisations on Mindful Productivity and Mindfulness. He is also co-creator of the iPhone app Breathe Sync™, which brings your breathing into sync with your heart to reduce stress and improve focus. He believes the world needs to calm down and we would all get a lot more done if we did."